Denora is international singer and saxophonist, performing live music shows in Italy, France, and worldwide. 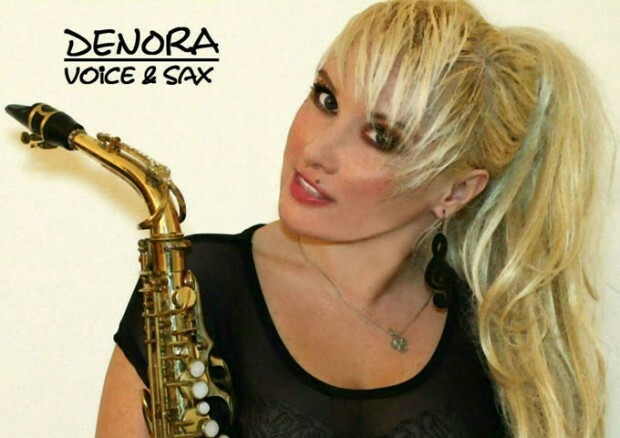 The repertoire of Denora’s show includes jazz, soul, funk, blues, electronic and pop styles, as well as her own songs. Her amazing show costumes are reminiscent of the famous Paris cabarets like “Moulin Rouge”, “Lido”, and the exotic carnivals of Brazil. Denora has recorded 3 albums and is currently busy working on her new album in collaboration with other musicians. Denora has recently released her track, “Baby You” which has a supporting video available on Youtube. For unabashed, unapologetic pop music fun Denora’s music is often the answer. With the Italian singer’s new release, this fact is blissfully reaffirmed. Precision-tooled to blare out of speakers everywhere from Paris to London, Miami and Ibiza, this clever, infectious tune is aimed squarely at the pleasure zone of Denora’s core audience. The single has a very appealing sonic marriage between heavy-handed dance and cool-as-cucumber hit-pop. The result is an uptempo, uplifting sound that is quite European and always danceable. “Baby You” has the resonance of classic disco yet is laser-like and modern, while Denora’s smooth, sweet, feminine vocals lead the way. The diva-like attitude of the cheeky and delightful track can be seen coming from a mile away, but the lack of pretense is part of Denora’s effortless charm. It impresses with its sharply-chiseled synthesizers and jubilant vocals. “Baby You” seems to check all the right boxes as a big dance-pop single, and it manages to pull you in for repeated listens with class and dignity. The track finds Denora celebrating the dance-floor and addressing recurrent themes of love and sexuality. 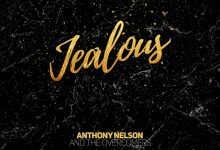 It holds the dichotomy of being fiery yet delicate, conveying ease but at the same time inviting the listener to move, accomplishing versatility yet cohesiveness. “Baby You” is one whole unstoppable bouncy mix with impeccable production. Denora’s new single has officially converted me to become her fan. She’s absolutely comfortable in this track doing what she does best – singing! Hers is not a world of excess but of turning ordinary into magical. “Baby You” is sonically and thematically consistent, coupled with interesting hooks and a memorable melody! DENORA: “All Out” ft. West – a dance-floor classic and a party favorite! ITALIAN ELECTRONIC MUSIC LABEL ’99 WAVES’ SIGNING TALENT!